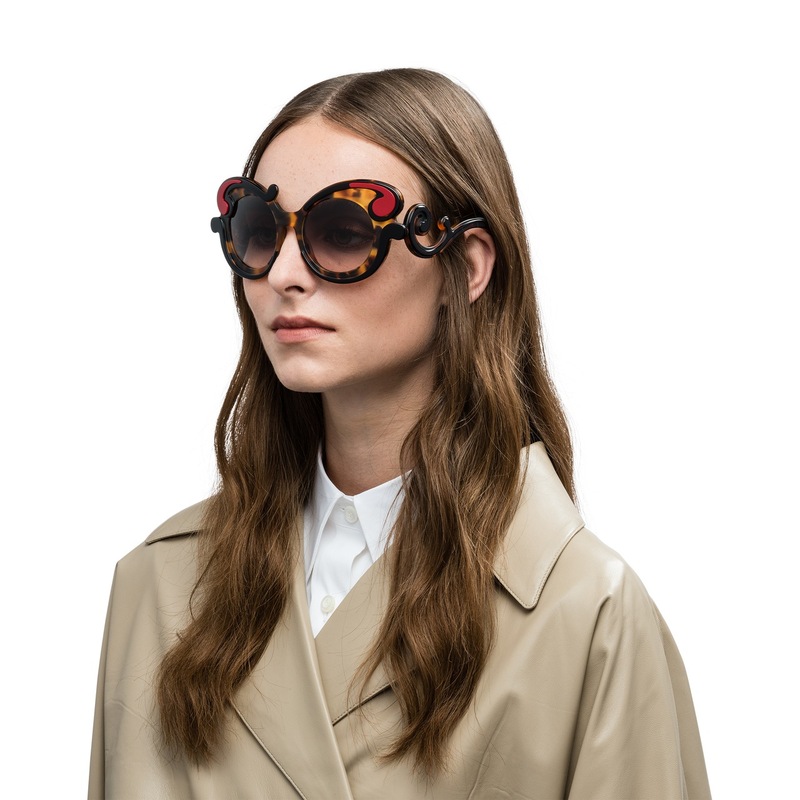 Style from the iconic Prada Minimal Baroque collection. 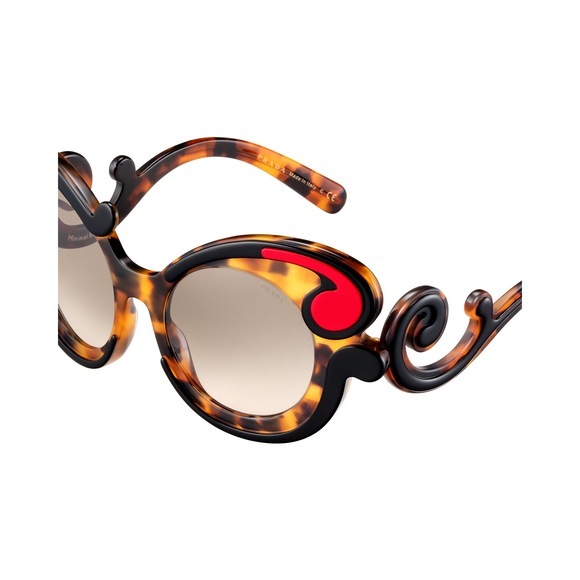 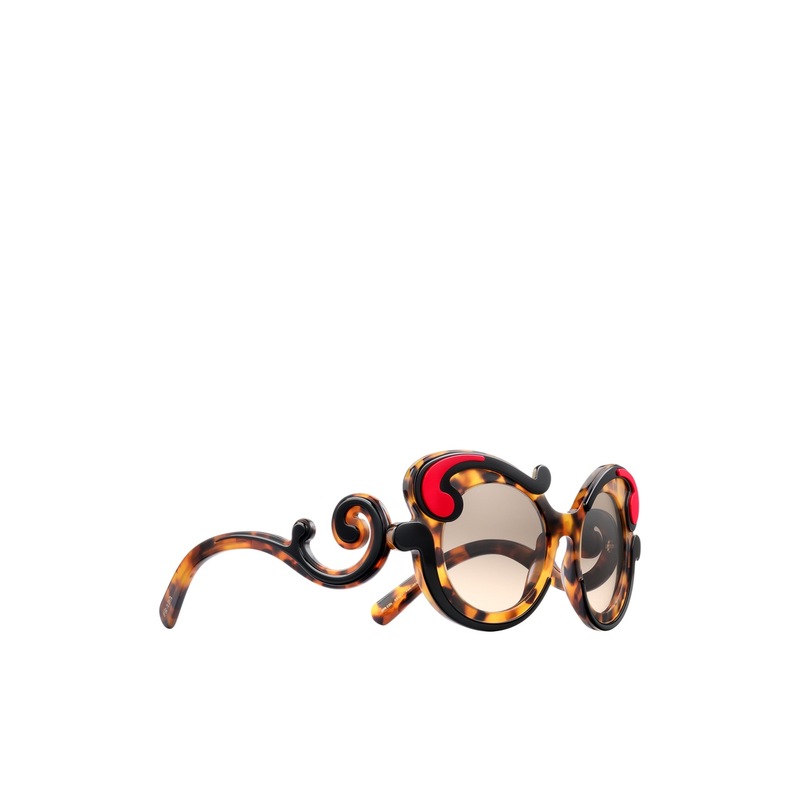 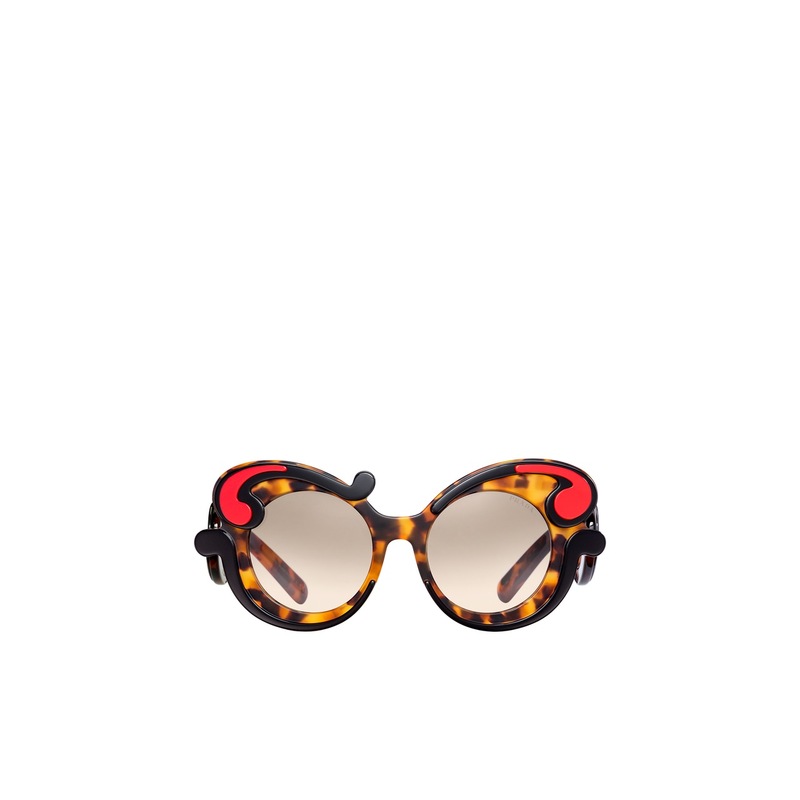 The butterfly frame front and distinctive "curly" temples have sophisticated juxtaposed colored acetate elements. Prada lettering logo.